Also called "GORILLA" Mask. 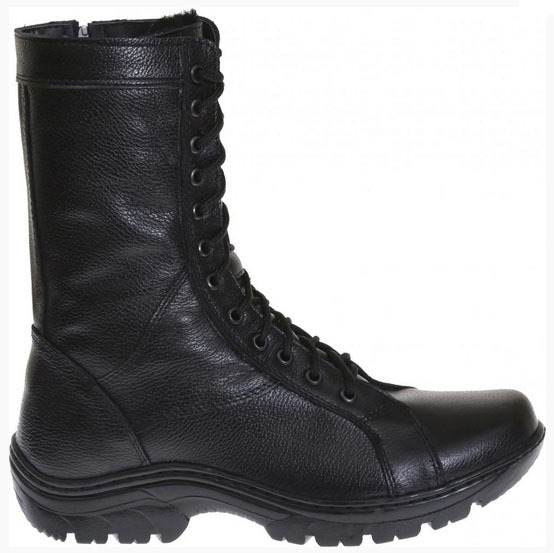 Designed to protect from nuclear, biological and chemical (NBC) agents. 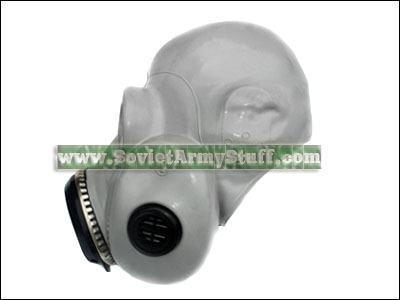 Original Soviet era very rare, new, unused mask in perfect condition! 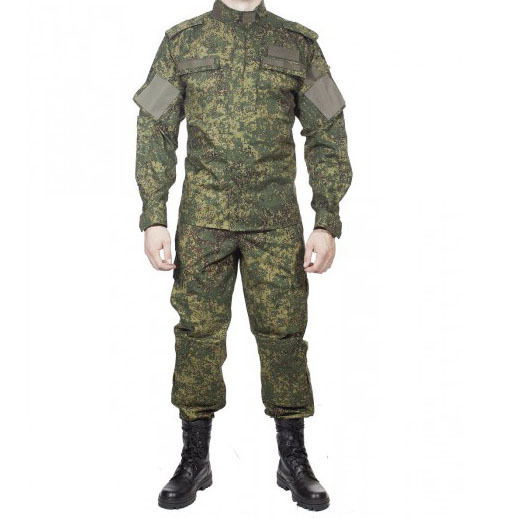 Made of high quality elastomeric material that covers both - the face and head and does not have head harness. An integral exhalation valve/voicemitter assembly is located below the eyepieces within a hard plastic housing. Specifically, the voicemitter is located just below the eyepieces and the exhalation valve is located directly over the mouth area. This mask has two internal canisters (under the faceblank) located over the right and left cheeks. 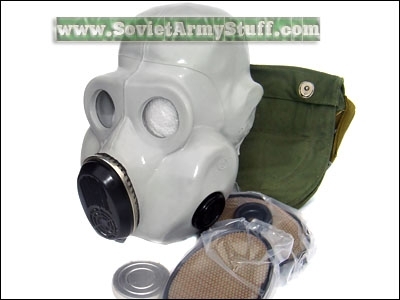 These improved filters are made to serve for 1 military operation (it is about 7 days), WHILE MOST OTHER gas masks serve 24 hours. (serve time depends on air pollution). The two circular eyepieces are 45 mm in diameter. The mask also has an internal nosecup. The mask comes with 2 canisters, carry bag, anti-fogging membranes. Filters are sealed, not inserted into the mask. (it is easy and quick) We have different sizes - s , m , l. Also black and white masks. 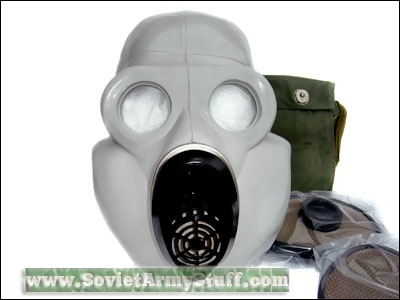 See PBF gas mask review here.